Will Battlefield beat Call of Duty this year? Back in 2016, many were stunned by the backlash against Call of Duty: Infinite Warfare, that year’s entry in Activision’s long-running shooter franchise. Actually, Infinite Warfare’s reveal trailer turned out to be one of YouTube’s most disliked videos of the year, showing how dissatisfied many fans were with Infinite Warfare’s sci-fi setting and Star Wars-like space battles. However, fan reaction against Call of Duty: Infinite Warfare was in sharp contrast to how well-received Battlefield 1 was, another action game set during World War I. This proved how many gamers were longing for a return to traditional warfare after the likes of Call of Duty had pushed further and further into sci-fi territory over the years. Battlefield 1 was a breath of fresh air then, and Swedish developer DICE’s game combination of a solid single player campaign which played out through the point of view of several characters and featured different scenarios such as North Africa and Italy, and great multiplayer action, made the game a winner. Actually, DICE’s game was the second best-selling game in the US that year behind Call of Duty: Infinite Warfare, which certainly is an impressive feat for a franchise that’s quite a bit less popular than Activision’s Call of Duty. It’s not surprising then, that publisher EA (the people who own DICE) has not denied online rumours that another Battlefield game is in the works. This won’t be set during WWI like 2016’s entry, though, as Battlefield V will push forward the clock and instead take place during the biggest military conflict to date, World War II. 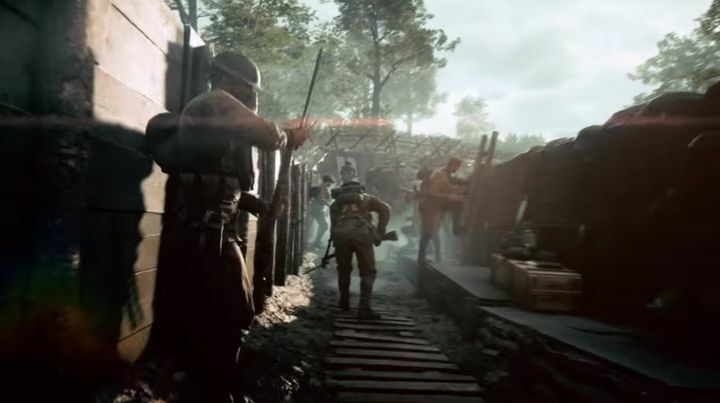 This surely promises to be another epic first-person shooter featuring a cinematic campaign as Battlefield 1 did, and many multiplayer modes, likely including some kind of iteration on Battlefield 1’s exciting Operations mode, although it remains to be seen whether this will be a cracking experience both online and off as Battlefield 1 was back in 2016. The thing is, does Battlefield V actually have a chance of beating Call of Duty this year and end up being 2018’s best-selling, best-reviewed shooter game? It’s clear that EA’s game might actually have a shot at this, because while developer DICE will almost surely be sticking to its guns and delivering a familiar experience with Battlefield V, it seems that Activision and developer Treyarch (who are behind the upcoming Call of Duty: Black Ops 4) are getting ready to experiment a bit with this year’s Call of Duty game. This is because recent rumours suggest Call of Duty: Black Ops 4 could be shipping without a single player campaign this fall, making it the first major Call of Duty game to omit the traditional single player campaign since the original Call of Duty launched back in 2003. This has already produced all sorts of negative reactions from series’ fans all over the Internet, with quite a few gamers threatening not to spend their hard-earned dosh on this year’s game on forum sites like Reddit if it is confirmed Call of Duty: Black Ops 4 will be campaign-free this year. After all, many Call of Duty vets were likely looking forward to play through the next chapter of the Black Ops saga, and enjoy the continuation of the series’ storyline. 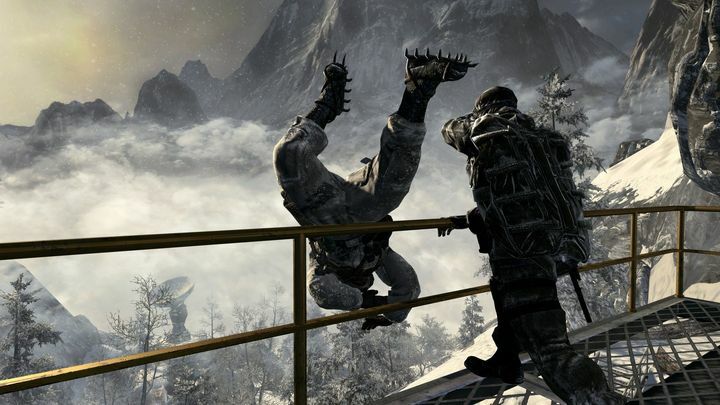 Black Ops began in the Cold War with 2010’s Call of Duty game, but featured near-future settings in the next two instalments, and surely the campaign was more than icing on the cake for many fans who have enjoyed these games to date. And even if you’re the sort of player who dives straight into the multiplayer after getting hold of the latest Call of Duty game, there’s no denying that featuring a professionally-produced single player campaign has made Call of Duty a better value proposition over the years. It could be, though, that Activision has reached the conclusion that all the time and effort needed to produce a campaign might better be invested in the multiplayer side of things, which is where most people spend their time with Call of Duty nowadays. And recent rumours suggest that Activision is now ready to jump on the battle royale bandwagon, with Treyarch now building a Call of Duty battle royale mode for its next Black Ops instalment. But cutting the cinematic single player to latch onto the battle royale trend seems like a poor decision to me, as Call of Duty’s smallish maps and limited number of players might make it hard for Treyarch to come up with a “last man standing” battle royale mode that feels right for a Call of Duty game… Plus, even if many fans will not touch the campaign with a barge pole, I always felt that having a solid single player campaign voiced by big-name actors made each Call of Duty game a better package overall. Read more: Call of Duty: Infinite Warfare vs Battlefield 1 – which is the better game? The thing is, Battlefield’s bigger maps and larger player count appear to be a better fit for battle royale, meaning Battlefield V could be seen by many as a better shooter and a better buy this year than Call of Duty: Black Ops 4. It remains to be seen, though, whether Battlefield can truly pull off the feat and debunk Call of Duty this year, but for now it’s clear that this year’s battle of the shooters is going to be more interesting than ever, so stay tuned to this website for more news regarding both Call of Duty and Battlefield in the coming weeks.